Join us in making Wells and the area an example of excellence in healthy, sustainable, delicious local food! "We just wanted to say a huge thank you for a fabulous day. It was great to see your smallholding and the workshop was excellent." We are delighted by the success of our first ever Somerset Food Trail, Taste the Landscape, which finishes today, Sunday July 29. Initial reports indicate that the Food Trail, has been a great success with both visitors and the participating venues. Wells Food Network and other organisations behind Taste the Landscape, including Reimagining The Levels, Somerset Community Food, Somerset Local Food Direct, Green Wedmore,and Sustainable Wells, will evaluate the Food Trail over the next few weeks in order to learn the lessons of what worked and what didn't. This will shape the way forward for what we hope will be repeated, and expanded, next year. Taste the Landscape celebrates the best of locally produced, delicious and sustainable food. Modelled on arts trails such as Somerset Art Works, the food trail saw farmers and food producers, as well as pubs and restaurants, opening their doors to the public at set times over the 10 day period. Participating venues ranged from goat farms to cheese makers and from vegetable growers to smokeries. This first food trail focused mainly on Mendip and surrounding areas, from Wells, Wookey and Wedmore to Shepton Mallet, Bruton and the Brue Valley. Participants were mostly small-scale farmers or producers. More details at: www.somersetfoodtrail.uk. The National Lottery is investing £400,000 in a project to increase the number of local food growing initiatives across the UK. 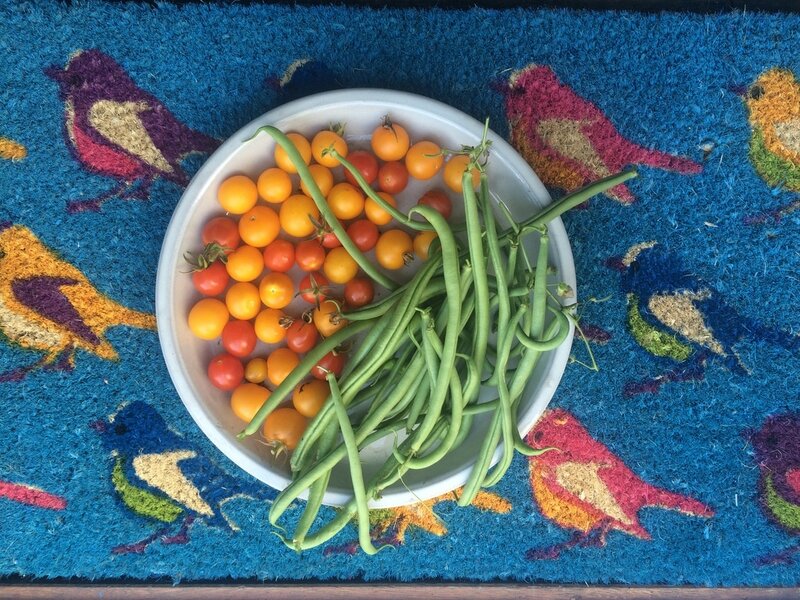 It has just awarded a grant to Incredible Edible to transform disused urban spaces into gardens where people can work together to grow fresh, healthy food. A quarter of British honey is contaminated with bee-harming pesticides, according to new research. Astonishing as this sounds, this is less than previous studies have shown but it reveals that the partial ban on neonicotinoids is not working, say activists. A radical low-calorie diet can reverse type 2 diabetes, even six years into the disease, a new study by Newcastle and Glasgow Universities has found. Nine out of 10 people in the trial who lost 15kg (two-and-a-half stone) or more put their type 2 diabetes into remission. Sustainable Food Cities on YouTube! 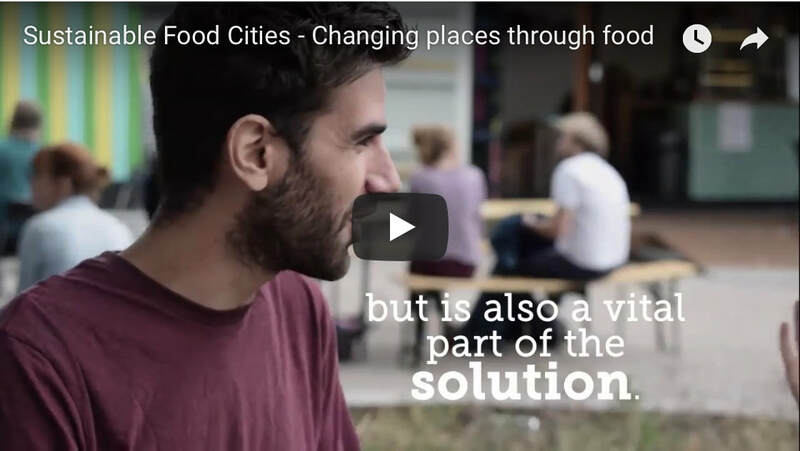 Wells Food Network is a member of the Sustainable Food Cities network, which now has its very own YouTube channel. The aim is to showcase the people and projects across the UK that are exploring practical ways of using food to change the places where we live for the better. Click on the image above to check out this video on the SFC YouTube Channel which explains what this movement is all about. Wells Food Network was established to promote locally sourced, healthy, sustainable and affordable food for everyone in Wells and its surrounding towns, villages and countryside. Our founding partners are Sustainable Wells and Wells Food Festival. Food and farming have always been an important part of the life of Wells and its surrounding towns and countryside. Yet today farmers face unprecedented challenges, our environment is under enormous pressure and many people cannot afford the good food they need. Wells has been accepted as a member of the Sustainable Food Cities network. This is a fantastic achievement for Wells Food Network. The fast-growing SFC network is group of cities and regions across the UK working to transform their food and farming culture. community wellbeing and environmental conservation.